Leadtrack.pro is the PUP that uses misleading techniques to prevent removal. Use Reimage to locate malicious components and get rid of them faster than with uninstall instructions. A full system scan blocks virus reappearance and prevents traffic to malicious domains. leadtrack.pro is a misleading website that initiates web browser's redirects to third-party websites. Typically, people visit this domain inadvertently as it is automatically generated by a web browser instead of a preferred URL. Usually, leadtrack.pro site initiates several redirects in a rotation and eventually loads an unfamiliar website. 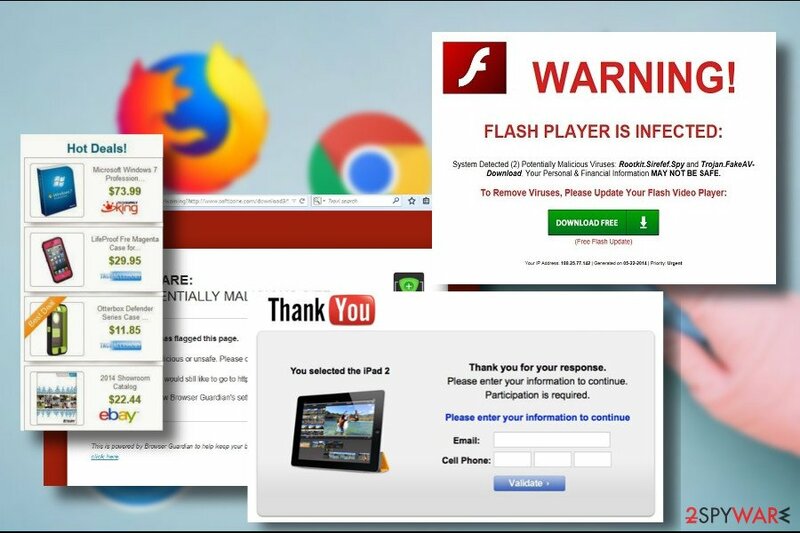 These intrusive redirects can start due to the adware or similar potentially unwanted program (PUP) infiltration. While affiliate marketing and online advertising are both legitimate means of increasing revenue, not all types of marketing are acceptable by netizens. leadtrack.pro ads might often be extremely intrusive. Clicking on any content positioned on a regular website triggers new tab URL, which redirects through multiple domains and eventually displays an unknown site, which, for instance, promotes useless software or expensive apparel. In some of the cases, the leadtrack.pro virus can generate catchy ads that correspond to your recent search queries. However, do not fall for this trick. The LeadTrack adware that might be responsible for ads and redirects can also use tracking cookies and web beacons to collect your Search Data. Information about your web browsing activities can later be sent to affiliates for market analysis. However, your geolocation, email address, name, and other sensitive information can also be collected and used for unwanted activities, such as spamming your mail. The only way to stop ads, redirects, and data leakage, you have to remove leadtrack.pro adware from the system. The fastest way to do that is to run a full system scan with Reimage or similar malware removal tool. Manual leadtrack.pro removal is also possible. However, it's not clear if this malware is triggered by LeadTrack or another piece of software. Thus, it might not be easy to identify which program is problematic, especially if your PC is stuffed with freeware. Therefore, to keep the system protected from cyber crooks, it's crucial to unpack each freeware package before installing it. For this purpose, you have to opt for Advanced or Custom installation (NOT Quick or Basic) and remove check marks from the pre-marked entries. To remove leadtrack.pro ads from Chrome, Firefox, IE, Edge or another web browser, you have to search form PUPs on the system and delete them right away. In fact, there are two ways to do that. 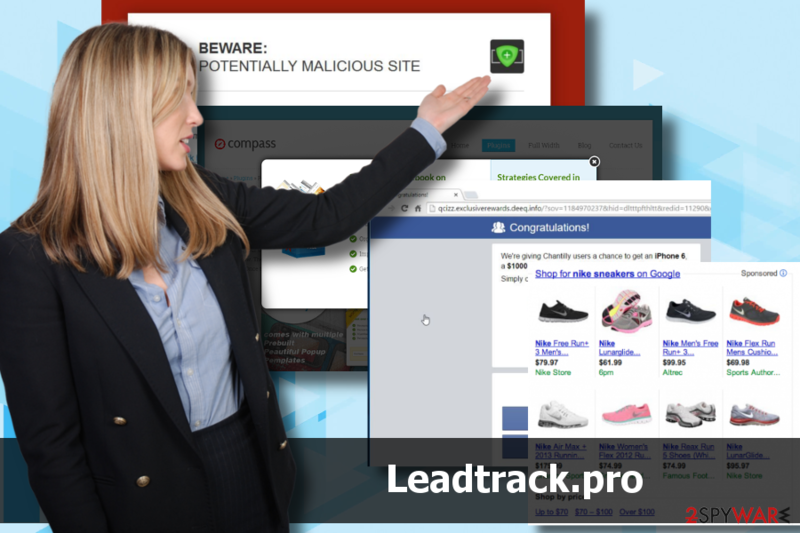 We would recommend you to initiate leadtrack.pro removal automatically. For that, all you have to do is to download reputable security tool or update the one that is currently working on your PC. Then, run a scan with it and set it to remove leadtrack.pro for good. Finally, get rid of unwanted extensions from the affected web browser. The next removal method is manual. It requires an in-depth analysis of the installed apps and removal of irrelevant ones. You can find an explicit removal tutorial and browser's reset guideline down below. Here, look for Leadtrack.pro or any other recently installed suspicious programs. Wait until you see Applications folder and look for Leadtrack.pro or any other suspicious programs on it. Now right click on every of such entries and select Move to Trash. When in the new window, check Delete personal settings and select Reset again to complete Leadtrack.pro removal. Once these steps are finished, Leadtrack.pro should be removed from your Microsoft Edge browser. Here, select Leadtrack.pro and other questionable plugins. Click Remove to delete these entries. Now you will see Reset Firefox to its default state message with Reset Firefox button. Click this button for several times and complete Leadtrack.pro removal. Here, select Leadtrack.pro and other malicious plugins and select trash icon to delete these entries. Click Reset to confirm this action and complete Leadtrack.pro removal. Here, select Extensions and look for Leadtrack.pro or other suspicious entries. Click on the Uninstall button to get rid each of them. Now you will see a detailed dialog window filled with reset options. All of those options are usually checked, but you can specify which of them you want to reset. Click the Reset button to complete Leadtrack.pro removal process. ^ Adware: facts you must know. Laws. Legal utility that brings legal innovation through technology. ^ Losvirus. Losvirus. Virus and spyware news. ^ Matthew Hughes. 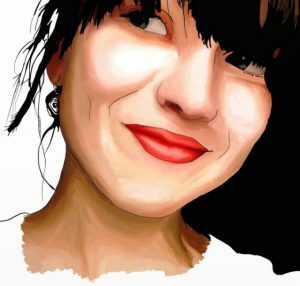 Just Hang Up: Why You Shouldn’t Taunt Fake Tech Support Scammers. MakeUseOf. A technology website. This entry was posted on 2018-04-04 at 04:00 and is filed under Adware, Viruses. You can quickly scan the QR code with your mobile device and have Leadtrack.pro manual removal instructions right in your pocket. How did you remove Leadtrack.pro?